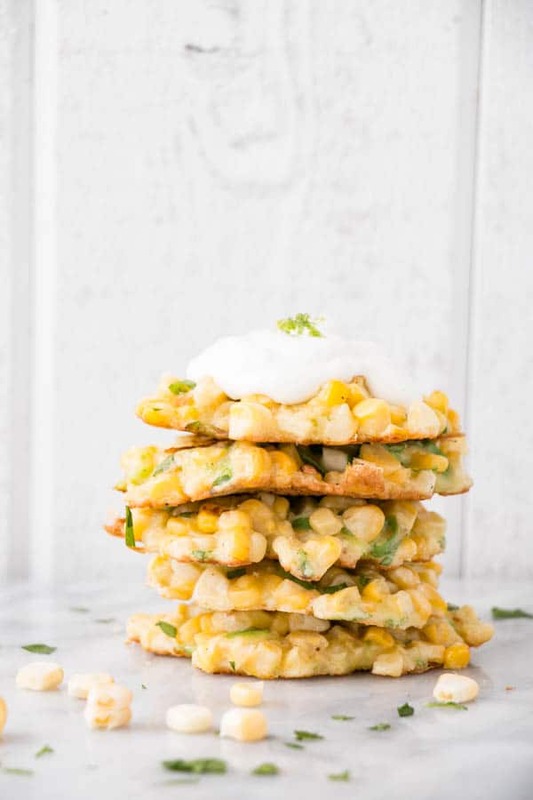 Easy to whip up Jalapeño Lime and Corn Fritters! Perfect end of summer fare! Photos, specifically food photos are large discussion I’ve been having with many friends and family lately on whether or not the photo will entice you to make a recipe, or if you even need a photo. A friend recently said that she’s not comfortable enough to make a recipe yet until she sees the photo. I definitely feel more comfortable with a photo of the finished product. That being said, as time goes on I’ve been noticing that I enjoy the photos, however, I’ll read the recipe straight through and if it’s too complicated, time-consuming, or has a very lengthy ingredients list I’m not very keen to earmark it. I know that this is a factor of the life of a mom, but I also want to enjoy good simple food. Don’t get me wrong, I love a good food photo. 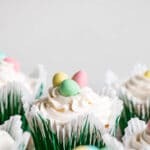 I’m in awe of the amazing food stylist and photographers out there. I have so much to learn and I know that one day I’ll probably look back horrified* at most of the photos on this blog. But hey, we all gotta start somewhere right? Lately, I’ve been more and more drawn to the chef’s description of the recipe. Here a Bon Appetit Editor stated “I’ve never met a fritter I didn’t like, and I love this one”. I was swayed by fritter love friends. I encourage you to look past my photos* and into how easy it would be to enjoy these tasty fritters. To get the kernels off the corn, place the ear standing up in a bowl and slice a knife down the sides of the ear. The kernels will come off easily and stay contained in the bowl. Mini side note – I added the jalapeño in after I scooped out enough batter for four fritters. 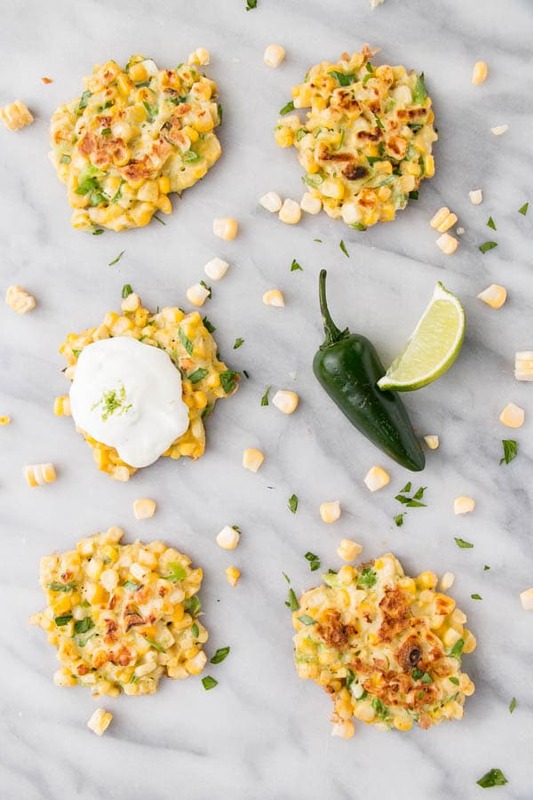 The minis loved this corn-filled recipe without the jalapeño. 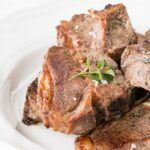 * So horrified about the photos in this post that they, and the recipe were both updated in October 2017. 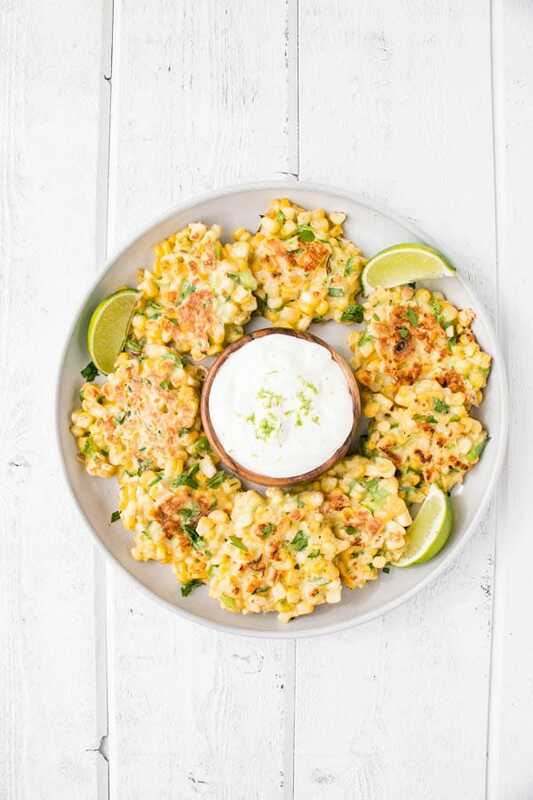 Easy to whip up Jalapeño Lime and Corn Fritters! 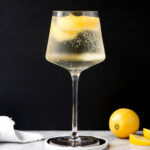 Served with a zesty Lime Sour Cream. 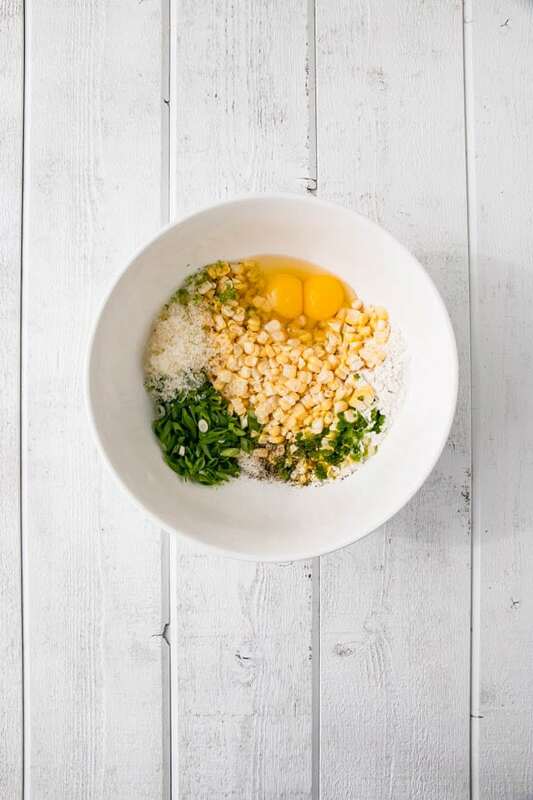 Add eggs, flour, parmesan, salt, corn, green onion, jalapeño, and half of the lime zest to a large bowl. Mix until combined. Heat oil in a large nonstick pan over medium heat. Working in batches, cook heaping tablespoonfuls of batter until golden brown, about 4 minutes per side. Season with salt. Combine sour cream, lime zest, and lime juice in a small bowl. 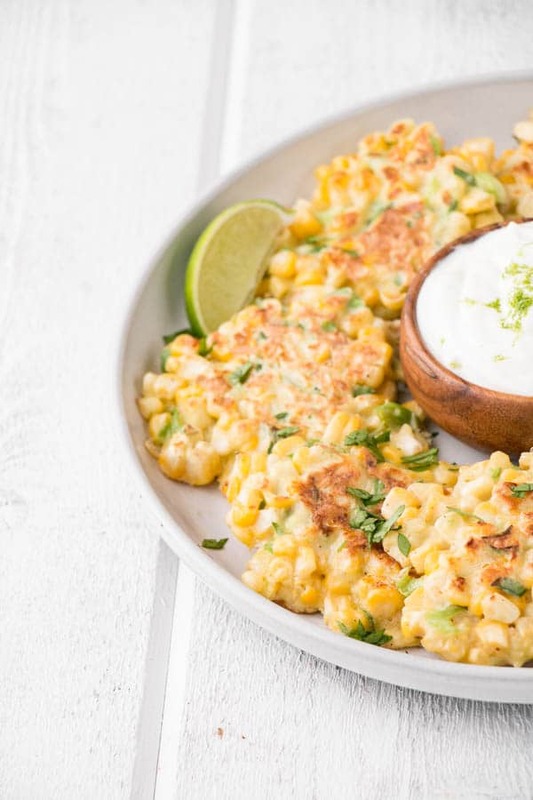 Serve lime-sour cream alongside fritters. I find it amazing how many kids love corn. I have 1 (out of 3) who isn't onboard, but she loved the lime sour cream here :) I also love that you meal plan! Please send some organizational skills this way! I always enjoy seeing a photo of the recipe, even if it isn't a great photo. Your photography is stunning. And the fritters look pretty amazing too. Thank you! Kind of you to say.